The McGuinness Institute undertook an analysis of climate change reporting in the public and private sectors. The Institute team comprehensively reviewed all 2017 annual reports (or financial statements) published by Deloitte Top 200 companies, government departments, Crown agents and Crown entities, state-owned enterprises and local authorities. The working paper is published here. Please note that four state-owned enterprises (KiwiRail Holdings Limited, Landcorp Farming Limited, Transpower New Zealand Limited and New Zealand Post Limited) are on both the 2017 Deloitte Top 200 and state-owned enterprises data sets (data sets 1 and 4). This means that adding the totals of Figure 3, Figure 19, Figure 23, Figure 27 and Figure 31 in the working paper will result in 388 entities: four more than in Figures 37 and 38. Furthermore, both the Crown Research Institutes (7) and district health boards (20) have been grouped and treated as one entity respectively, but each of their individual annual reports were analysed. This aligned the data sets with the original lists taken from the Crown Entities Act 2004. In practice this means 409 organisations were analysed. 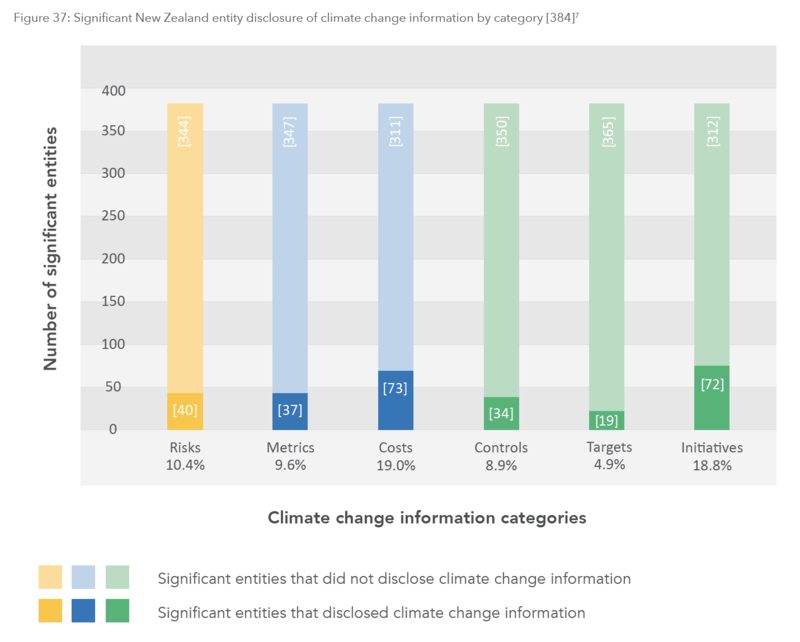 Working Paper 2018/03 – Analysis of Climate Change Reporting in the Public and Private Sectors is now published. The working paper covers five data dets: Deloitte Top 200 companies, government departments, Crown agents and Crown entities, state-owned enterprises and local authorities. Read more about the working paper in our blog post. 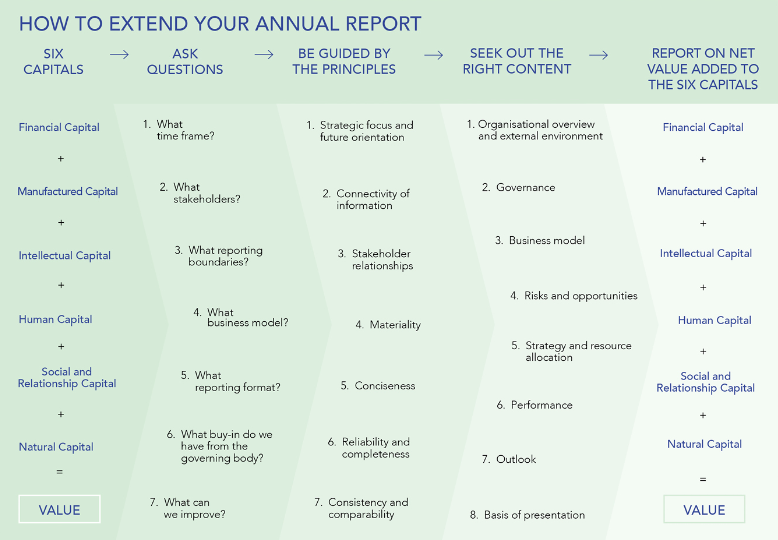 The External Reporting Board, Grant Thornton and the McGuinness Institute created an Extended Reporting Card, which illustrates how to extend an annual report using the International Integrated Reporting Framework as an example. You can download the Extended Reporting Card Inforgraphic from the McGuinness Institute website.